This German cake is a classic and it is super easy to make it. 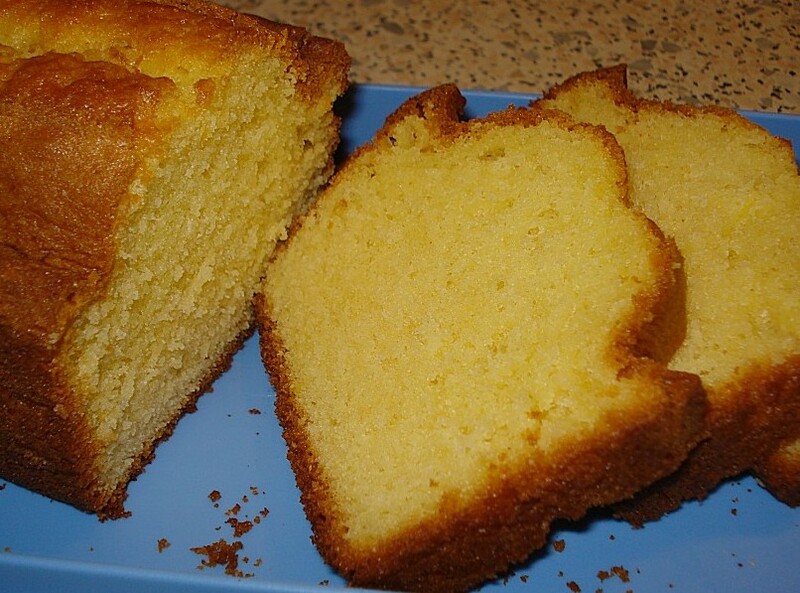 The orange cake is a coffee cake or pound cake which is the best with a cup of coffee or tea. - grease a form such as pound cake form, Gugelhupf form or the wreath form, keep the greased form in the fridge. - pre-heat oven to 350 F.
- beat eggs and sugar until creamy, add oil, orange juice and zest. Mix well. - mix flour with baking powder, add to dough. - fill in form and bake for about 45 min. - when cake is done get it out of the form and place it on a grid. - mix ingredients for the glaze, it should be thick, so use juice as needed. If the cake is still warm and you use the glaze it will sink into the cake; it won't if the cake is cooled off. - you also can dust the cake with powdered sugar if you don't want to use a glaze. - you also can make a chocolate glaze: melt chocolate by using the double boiler method, add 1 tsp coconut oil, when chocolate is melted spread over the cake.